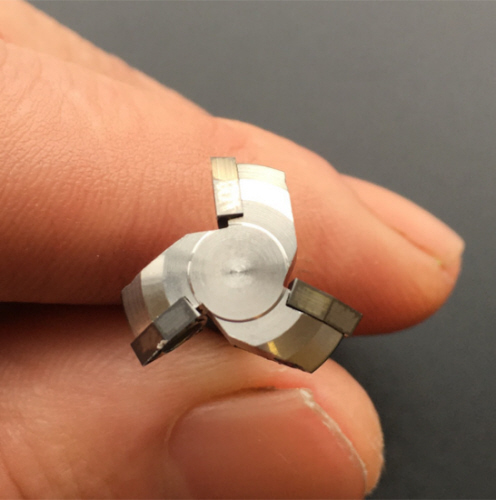 The three tungsten carbide cutting tips in this Nibbler are indexable and replaceable. When the edges are blunt you simply unscrew the tips and turn them to a fresh edge. The tips are normally used in the metal-cutting industry to cut stainless steel so they will last a very, very long time cutting wood. 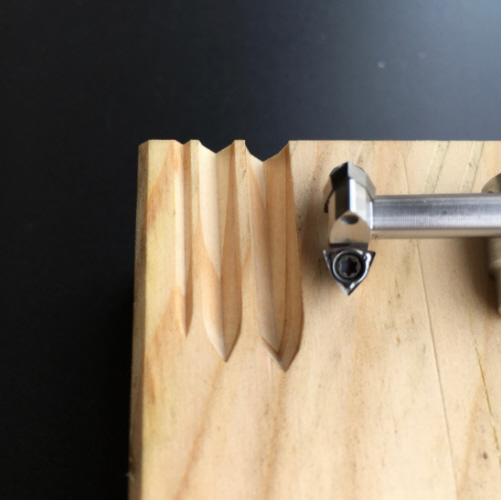 This Nibbler screws directly onto the threaded spindle of a Dremel. 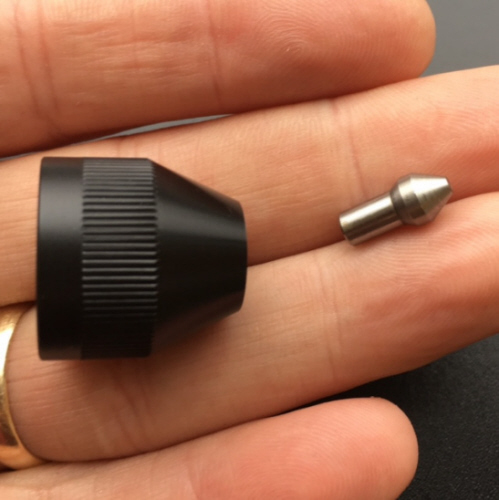 This gives it vastly superior rigidity and reach over a standard collet mounted tool. Its super rigidity give very smooth and precise handling for deep, heavy roughing cuts and also for fine finishing cuts. All the Nibblers are made from T431 grade stainless steel, which has nearly double the tensile strength of 304 grade stainless steel. 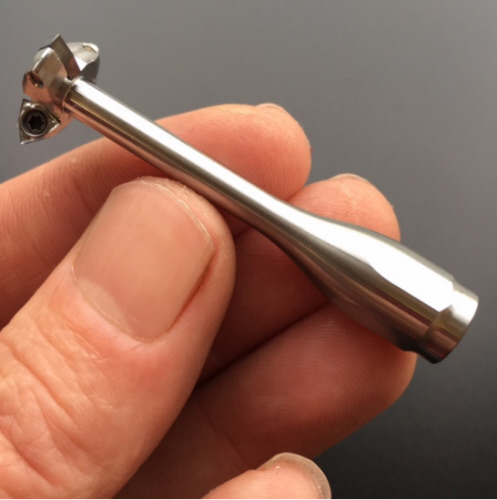 T431 stainless steel is difficult to machine but it is worth it for the extra rigidity in the Nibbler. 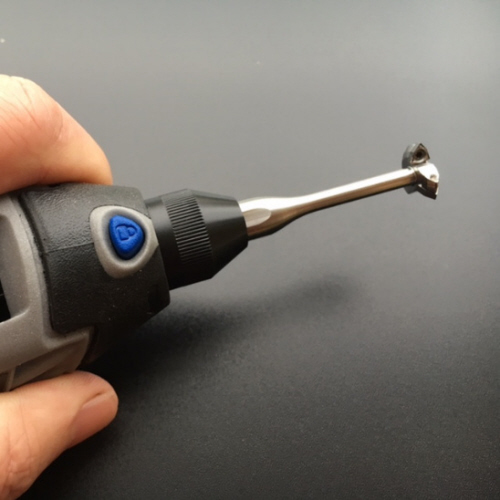 You can use your existing Dremel spanner to tighten and remove. Maxi Nibblers also fit on the Black & Decker range of multi-tools. 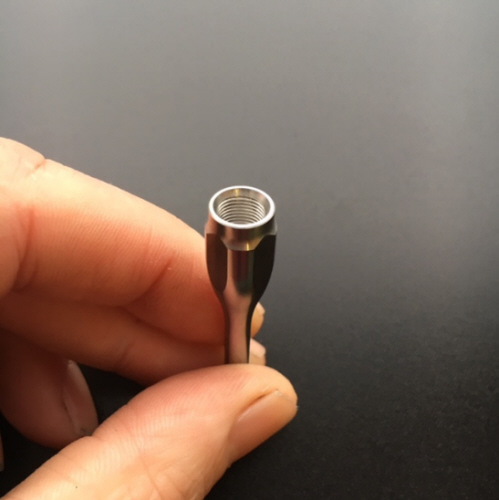 Replacement tips and screws are available from Bonsai Nibblers, should they be required in the future.